REGISTRATION: Students of the EMSB primary and secondary institutions will return to class on Wednesday, August 31, 2016. Kindergarten children must be five years of age on or before September 30, 2016 while Grade 1 (Cycle 1) students must be six years old on or before the same date. Registration for those not previously enrolled will begin on Monday, August 15 for elementary and secondary schools. Parents are asked to call the school in their neighbourhood to make an appointment. Parents are urged to consult the Board’s website at www.emsb.qc.ca, which also contains information about the successful adult education and vocational training programs. E-mail inquiries can be sent to informationdesk@emsb.qc.ca or you can call 514-483-7200. The EMSB serves more than 36,000 students at 35 elementary schools, 17 secondary schools, eight alternative outreach high schools, seven social affairs institutions and 10 adult and vocational centres. These Kindergarten students from Merton are moving on to Grade 1. All pupils registering for the first time are required to provide a birth certificate and vaccination records to the school the child will be attending. Parents will be asked to fill out forms which will allow the school to apply for the certificate of eligibility for English schooling. Under the Charter of the French Language, a certificate of eligibility is generally granted to children who did the majority of their elementary or secondary studies in English in Canada; whose mother or father did the majority of his/her elementary studies in English in Canada or whose brother or sister did the majority of his/her elementary or secondary studies in English in Canada. Please note that as a result of Quebec law, this criteria excludes studies completed in the Quebec Private School system. Members of the Wise family and EMSB officials and dignitaries gather around the plaque. SYD WISE AUDITORIUM: A dedication ceremony was held on June 14 for the Syd Wise Auditorium at the Marymount Adult Education Centre/John Grant High School facility on Parkhaven Avenue in Côte Saint-Luc. Syd Wise, who passed away last fall, was the commissioner for Côte Saint-Luc-Hampstead and a former principal of Wagar High School. Members of the Wise family were on hand for the unveiling of a beautiful plaque of Dr. Wise, which will hang on the wall outside of the very auditorium where he addressed audiences on so many occasions as a principal and a commissioner. EMSB Chairman Angela Mancini, Commissioner Bernard Praw and D’Arcy McGee Liberal MNA David Birnbaum spoke. EMSB officials past and present pay tribute to Syd Wise. Mr. Praw succeeded Dr. Wise as commissioner for Côte Saint-Luc-Hampstead. The two were very close friends. Mr. Birnbaum was the communications officer for the former PSBGM when Dr. Wise was principal of Wagar High School. IN-SCHOOL ADMINISTRATORS: Some more in-school administrator appointments and changes have been announced for 2016-201. Retiring as principals will be Leah Auclair (presently on leave at Edinburgh Elementary); Raizel Candib (Merton); Marysa Barassi (St. Laurent Adult Education Centre), Claude Dansereau (LaurenHill Academy) and Ben Fagan (High School of Montreal Adult Education Centre). Retiring as a vice-principal (currently on leave from John Grant and LINKS) is Hilda Hacikyaner. School); John Pevec, High School of Montreal Adult Education Centre (presently principal of Vincent Massey Collegiate); Daniela Lattanzio, St. Laurent Adult Education Centre (presently principal of Dante Elementary School); Elizabeth Lagodich, John F. Kennedy Adult Education Centre (presently principal of Marymount Academy International); Nadia Sammarco, Leonardo Da Vinci Elementary School (presently principal at Cedarcrest Elementary School); Antoinette Scrocca, Nesbitt Elementary School (presently interim in that position); Carmen Nicolas, Willingdon Elementary School in NDG (presently interim principal at Lester B. Pearson High School); Civita Tudino, Cedarcrest Elementary School (presently vice-principal at St, Pius X Career Centre); Mike Talevi, Dante Elementary School in St. Leonard (presently principal at Leonardo Da Vinci; Franca Cristiano, Vincent Massey Collegiate (presently principal of Edward Murphy); Cristina Celzi, Edward Murphy Elementary School (presently vice-principal at Royal Vale School); Darlene Kehayan, Elizabeth Ballantyne Elementary School in Montreal West (presently interim assistant director of Educational and Technology Services); Sonia Marotta, Honore Mercier School (presently interim principal at Edinburgh Elementary School); Rick David, James Lyng Adult Education Centre (presently principal at John F. Kennedy Adult Education Centre). Newly appointed vice-principals are: Anthony Lombardi, John F. Kennedy High School (presently a teacher at the Commission scolaire Marguerite-Bourgeoys); Lisa Triestino and Sabrina Petrocco, Lester B. Pearson High School (presently, Educational Consultant and head office and vice-principal at John Grant High School respectively); Grace Fanelli, John Grant High School and LINKS (presently a teacher at the Lester B. Pearson High School); Gaetano Sifoni, Gardenview Elementary School in St. Laurent (presently a teacher at Lester B. Pearson High School); Assunta Caruso, Leonardo Da Vinci (presently interim in this position); Rea Limperolous, Roslyn Elementary School (presently vice-principal at Gardenview); Nathalie Cheff, Royal Vale School (presently a teacher at Royal West Academy); Susie Douranos, St. Pius X Career Centre (presently principal at Willingdon Elementary School); Sulaman Khan, Rosemount Technology Centre (presently a teacher there); Tina Spiridigliozzi, John F. Kennedy Adult Education Centre (presently vice-principal at Rosemount Technology Centre); Maria Savignano, St. Laurent Adult Education Centre (presently vice-principal, John F. Kennedy Adult Education Centre); and Lindsay Heckersbruch, Westmount High School (presently vice-principal on maternity leave, Royal West Academy). NEW HISTORY PROGRAM: The EMSB will implement the new History of Québec and Canada program in Secondary III in September 2016, Chairman Angela Mancini has confirmed. “We are doing so with the understanding that there may be some changes to the curriculum before it is finally approved by the Minister of Education, particularly in Secondary IV,” said Ms. Mancini. The decision to proceed was made by the Directors of English Education Network (DEEN), representing all nine English boards. “The representatives from DEEN agreed to proceed based on comments from pilot schools, training that has already taken place and the availability of resources and English textbooks,” said Ms. Mancini. “Based on all the positives, we agreed as a collective to move forward.” EMSB Director of Education and Technology Services Sandra Furfaro says that implementing this program now facilitates the purchase of new text books subsidized by the Ministry. In addition, it will provide teachers with opportunities for professional development and the maximum amount of time to familiarize themselves with this program. Terry Saba is congratulated at the June 15 EMSB Council meeting. CONGRATULATIONS TERRY SABA: The EMSB wishes to congratulate Terry Saba, a long-time English Language Arts consultant, who was presented with a Spark Award from the Ministry of Education. These awards acknowledge the efforts of people in the education system who seek to improve the way reading is taught in schools. Raizel Candib and some of her adoring students. RAIZEL CANDIB TO RETIRE: At the end of the present academic year, Raizel Candib, principal of Merton Elementary School, will walk out the doors of the school leaving behind a legacy of love, kindness and academic and personal success. 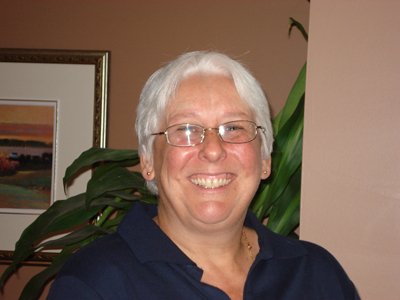 Ms. Candib began her career in education as a teacher at the former Wagar High School in Côte Saint-Luc. She later took on the administrative roles of vice-principal at Willingdon Elementary School, principal at Elizabeth Ballantyne Elementary School and Willingdon, and a four-year term as principal at Bialik High School. Over the span of her career, Ms. Candib embraced the evolution of the field of education, from the use of technology in the classroom to robotics, and child-centered care. Under her direction, the Merton community has grown, adapted, and thrived. No matter what changes have come into play, Ms. Candib stands firm on two essential ingredients that ensure a student’s success and happiness at school: “Children need to be loved and respected. Always. That never changes.” Read Wendy Singer's complete interview with Ms. Candib here. Claude Dansereau (in the back center) with students. CLAUDE DANSEREAU REFLECTS: After 38 years in the field of education, Claude Dansereau, principal of LaurenHill Academy in Saint-Laurent, will retire at the end of this academic year. He leaves the EMSB pleased with his accomplishments. Mr. Dansereau began his career as a teacher in the special needs milieu at the Douglas Hospital’s children’s unit under the former Protestant School Board of Greater Montreal. He then worked at Shawbridge in the closed unit for girls and the receiving unit for boys, and moved on to take on a newly created career advisor position. Mr. Dansereau was instrumental in creating the outreach school Connections, which functioned as a small business where students attended classes, worked and shared in the profits. He believed the key to the success of Connections was showing students that they were vital members of their communities. After its first year, the school received the Hillroy Fellowship Award. He later became the principal of Social Affairs Schools affiliated with Batshaw Youth and Family Services, as well as in psychiatric wards and hospitals. In the year 2000, Mr. Dansereau became the principal of Westmount High School, which, at the time, had many challenges. He is credited for completely turning the school into a prominent and respected school that responds to the needs of all its students. “Slowly, over the years, we saw attendance climb from 439 to 825 students, where it has been coasting now for many years, and the graduation rate improve significantly due to the pedagogical changes we made,” Mr. Dansereau notes. “We saw the turnaround. The kids became proud of their school. It was a real team effort. Westmount is a very satisfying success for me.” Mr. Dansereau spent that last nine years of his career at LaurenHill Academy, the EMSB’s largest high school, spread over two campuses, where he was a dynamic leader of approximately 1,300 students and close to 130 staff members. On an interim basis, he moved to the EMSB head office for a few years as a Regional Director. Under his leadership, LaurenHill has consistently been one of the top schools, graduating over 90 percent of its students each year. He is responsible for supporting his team in implementing many innovative programs at the school. Read Wendy Singer's full interview with Mr. Dansereau here. former Protestant School Board of Greater Montreal. “I worked in high school, teaching English and History for the first seven years,” she recalls. “I was then on leave for five years while I had my two children 18 months apart. Ms. Hacikyaner went on to teach at Willingdon Elementary School in NDG and then moved on to Dunrae Gardens Elementary in TMR. “As I began to notice the growing number of children with learning disabilities, in the immersion system, my focus changed,” she said. “I asked for a new assignment and for the next five years, I was the only resource teacher at Dunrae, first at 50 percent then at 100 percent. I set up the resource program and the resource classroom. 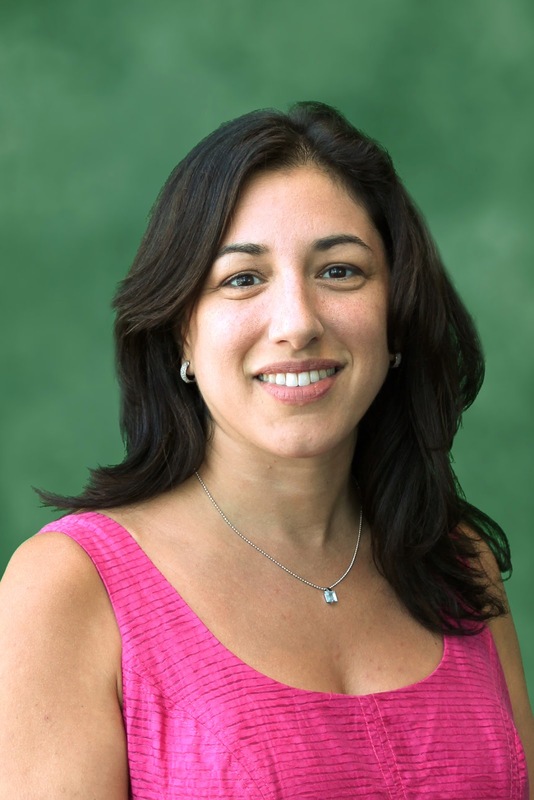 Our model was to provide bilingual resource.” In 2009 Ms. Hacikyaner was promoted to vice-principal at Willingdon, later fulfilling the same role at Lester B. Pearson High School in Montreal North. Last year she was asked to serve as the interim principal at Hampstead. “I really enjoyed teaching children of any age with learning disabilities and watch them flourish,” she said. “ I learned that you can never give up on a child- that to be successful, one must share a little of what's in their heart, some love and passion, as children like animals instinctively feel this energy and respond to it.” As for what is next for Ms Hacikyaner in retirement, her plans are to continue working on her art, painting and gardening and to do some travelling. TV COVERAGE: City TV's Breakfast Television will pay tribute to Ms. Candib when it broadcasts several segments from Merton School on either June 22 or 23. Meanwhile, Global TV reporter Kelly Greig will broadcast live from Sinclair Laird Elementary School in Park Extension on the last day of school. BT’s Catherine Verdon Diamond will attend the Lester B. Pearson High School prom and report on the experience. 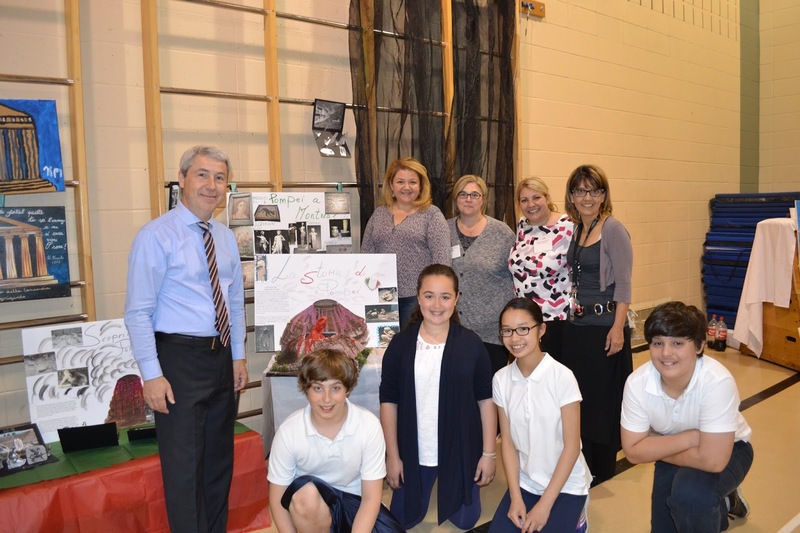 GENERAL VANIER PELO FAIR: Students from General Vanier Elementary School in St. Leonard recently held their annual PELO Fair, highlighting their Italian culture and heritage. This year's theme focused on innovation through Leonardo Da Vinci, history through Pompei and culture through the city of Venice. LEADERS ON WHEELS: Liberal Member of Parliament for Ville Marie-Le Sud-Ouest-Île-des-Soeurs Marc Miller recently visited Westmount High School to meet with the Leaders on Wheels Mackay Centre School Satellite Class and presented a letter written by Prime Minister Justin Trudeau. Mr. Miller took the time to sit and talk with the students and share stories, experiences and answer questions. He expressed the Prime Minister’s gratitude towards the students’ leadership and efforts in giving back to the community and to the Montreal Children's Hospital. The students were honored and grateful for the visit and thoroughly enjoyed their time with Mr. Miller and wish for a continued relationship with him and a future place on a possible youth council to represent their peers on issues that affect them and Canada. The Leaders on Wheels are an amazing group of hard working, dynamic teenage students in wheelchairs. As well as being hard working students, they have implemented fundraising initiatives for the Montreal Children’s Hospital in order to give back to an institution where they have all been patients before. They sell ripple chocolate brownies to the students of WHS and have sold a homemade Cajun Spice Rub, raising over $3,500 for the hospital. For this initiative they won Entrepreneurial Awards from EMSB and the Quebec government. The Leaders on Wheels have studied a lot about Canada and politics this year. They travelled to Ottawa on May 20, with a morning visit to the Canadian Museum of History and a tour of Parliament. WONDERFUL PROJECT BY L.I.N.K.S. : Students at L.I.N.K.S. 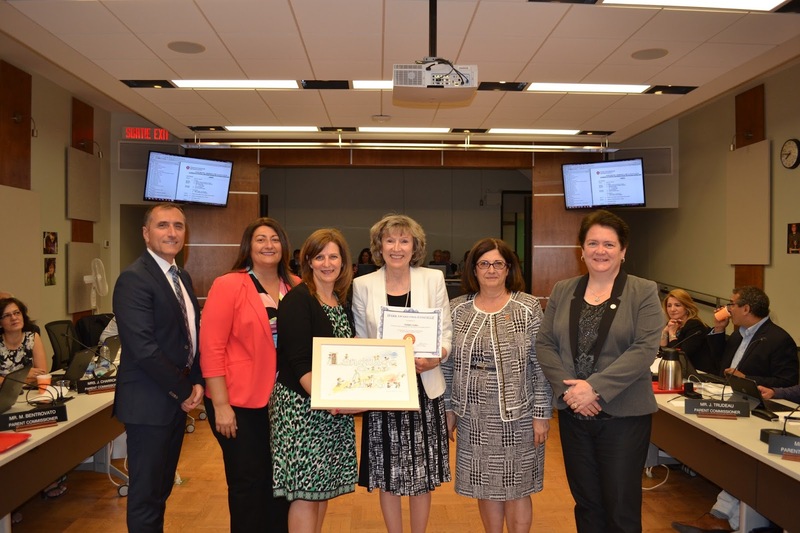 High School in Ahuntsic have earned recognition at the local level in the OSEntreprendre Challenge with their Cultural Mosaic Entrepreneurship Project and handmade cards for the ALS (Amyotrophic Lateral Sclerosis) Society. The OSEntreprendre Challenge (known until recently as the Quebec Entrepreneurship Contest) is a major entrepreneurship contest that has been taking place at the local, regional, and provincial levels for the past 18 years. It recognizes students from elementary school through to university, and new entrepreneurs. The challenge draws more than 40,000 participants yearly. The goal is to initiate and mobilize a large number of students to promote entrepreneurial initiatives in order to inspire them to believe in themselves and rise to the challenge. The project indirectly targets bullying as it explores and promotes all cultures in a positive manner. The students are banking questions about their cultures, and are looking forward to finding the answers. “Their self-esteem and confidence have rocketed. They are proud of what they bring to the table,” Mr. Vlahopoulos added. The cultural mosaic proved to be an excellent exercise in extrapolating and summarizing pertinent information, which can be an intimidating task for this student population. See the press release. MACKAY CENTRE PROJECT: Construction on a $21.9 million dollar state-of-the-art facility for the Mackay Centre and Philip E. Layton Schools will begin this October. The facility will be built on a now empty piece of land located on Terrebonne Street, between Benny and Madison Avenues, in NDG. The EMSB has owned the green space for decades. The field is currently under municipal custodianship and is being used as an informal playing field by the public and the neighbouring Commission scolaire de Montréal (CSDM) elementary school École Marc-Favreau. An artistic rendering of what the new building will look like. A special information meeting for people living in the immediate area was held recently at St. Monica Elementary School, which is across the street from where the new facility will be built. The building will house approximately 200 students with developmental, intellectual, auditory or visual impairments and will be the only one of its kind to offer specialized educational and rehabilitative services for the Anglophone community. Its supra-regional mandate means that students from all nine Quebec English School Boards will be attending this school. Some students travelling as much as three hours per day by school bus. The entire facility has been carefully designed to cater to the diverse needs of its student population. On the ground floor, numerous specialized classrooms, washrooms, closed outdoor courtyard, as well as an indoor therapeutic swimming pool are just some of the standard facilities planned. The second floor will accommodate school administration as well as private offices and equipment for medical professionals. See Andrea Di Tomaso's detailed press release. AWARDS CEREMONY AT MACKAY: Mackay Centre School in Montreal, in collaboration with Défi Sportif AlterGo, hosted an award ceremony on May 25 for students that participated in the 2016 Défi Sportif, which took place from April 25 to May 1.This international event reunites both elite and up-and-coming athletes with all types of disabilities. Each year, over a seven-day period, some 5,000 athletes from approximately 20 countries compete in 14 different sports at six different sites across the island of Montreal and on the South Shore. The event welcomes 3,800 students from 83 organizations from across the province of Quebec. The Mackay Centre School’s Défi 2016 team included 51 competitors from Grade 3 and up. Over a period of five days, they competed in the categories of rhythmic gymnastics, swimming, athletics (high school track and field and power wheelchair obstacle course), and ball hockey.All participating athletes received a certificate and a round of applause and cheers when they were called to the front of the gym to be honoured. Thirty-nine students received medals. These medals are furnished with Braille on one side to accommodate the visually impaired. Mackay Centre School physical education teacher Bob Simpson thanked a lengthy list of staff and volunteers, from coaches to administrators, including principal Patrizia Ciccarelli and Vice-principal Denise Maroun, for the role they played in preparing and supporting the students for this year’s Défi. He also thanked the team from Défi Sportif AlterGo that was on site to present the certificates and medals. Also in attendance was WalterGo, the Défi mascot, who granted photo opportunities to all students. Mr. Simpson thanked Wade and Brenda Wilson from The Mike Reid Softball Tournament for their efforts. All proceeds raised by their fundraising events cover the cost of transportation to and from recreational events. “Without their support, this would not be possible,” said Simpson, as he awarded them with Team Mackay t-shirts. NO SMOKING POLICY: Since September 1, 2006, all schoolyards in the province of Quebec have become smoke-free environments, making it strictly forbidden during school hours to smoke or to provide tobacco to students while on the premises of a primary or high school. Beginning with the 2016-2017 academic year, this smoking ban will be extended to any period of time and will also target post-secondary schools. By putting into force a revised no smoking policy, the EMSB intends to provide a smoke-free environment in all of its schools, Adult Education and Vocational Centers and to further restrict tobacco in the Administration Building at 6000 Fielding Road in NDG. Last November, the Quebec government adopted Bill 44, aimed at bolstering tobacco control. It prohibits smoking within a nine-meter radius from any door leading to enclosed spaces that are open to the public. This policy will apply to all students, parents, visitors of any EMSB establishments; every person working for the EMSB, as well as any elected representative, volunteer and person responsible for supervising or monitoring the activities of the EMSB; and any activity organized by the EMSB or its departments, representatives, schools or centres, on EMSB premises. In the present policy, the term “tobacco” includes any product containing tobacco, electronic cigarettes and any other devices of that nature that are put to one's mouth to inhale any substance that may or may not contain nicotine, including their components and accessories, and any other product or class of product considered to be tobacco under a government regulation. The EMSB may take disciplinary measures and/or other measures against any employee and/or individual who does not respect the terms and prescriptions of the present policy. See press release. EMSB READS: The winner of the EMSB Reads 2016 “Must Read” Book Trailer Challenge have been announced. In Secondary Cycle I, the winning book was Sketches by Eric Walters. The winning students were Emily Taylor, Aaliyah Morse and Macarena Broomfield from Royal Vale. Here is the book trailer. At the Secondary Cycle II level, there was a tie. One winning book was Feed by M.T. Anderson while the other was The Summoning by Kelley Armstrong. Winning students respectively were Davian Huggins, Programme Mile End (see book trailer) and Yasmine Gonzalez, Laurier Macdonald High School (see book trailer). For more information, check out the EMSB Reads website: http://www.emsb.qc.ca/emsbreads. Bookplates featuring the winning students’ names and schools, as well as QR codes that link to each book trailer, will be sent to high school libraries. These students from Gerald McShane Elementary School in Montreal North really enjoyed their experience. NUTRITIONAL AWARENESS: Beginning in March, which was Elementary School Nutrition Month, dietitians at the EMSB ventured into classes, working with students to complete fun and educational nutrition related challenges. The campaign aimed to create nutritional awareness to ensure students develop long-lasting healthy eating habits. Students delved into weekly nutrition themes, such as increasing water intake, eating fruits and vegetables and more. 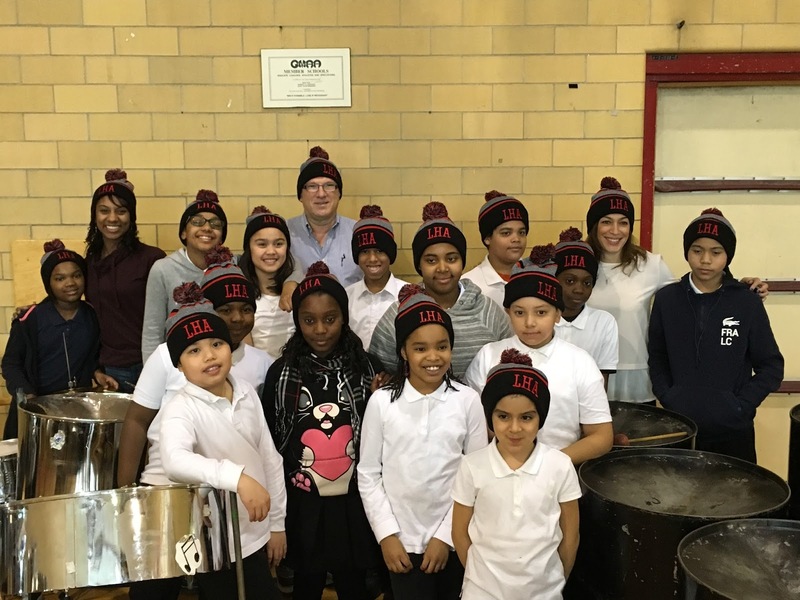 While improving health and nutrition habits were clear motivators for participating in this campaign, the chance of winning a cooking workshop was also a driving force for students. Many classes were successful and multiple cooking workshops were awarded for outstanding participation. Classes from Edward Murphy School in Hochelaga-Maisonneuve, Gardenview Elementary School in St. Laurent, Gerald McShane Elementary School in Montreal North as well as the Mackay Centre and Royal Vale in N.D.G. each won individual workshops. The campaign and cooking workshops were organized by the EMSB’s Cafeteria and Nutrition Education Services of School Organization. See our photo album. JOHN GRANT MUSIC: Special needs students at John Grant High School in Côte-Saint-Luc were mentored by recording artist and producer David Hodges. The result is a remarkable original song and video that gives us a look into their souls. John Grant High School teacher Marie Francis recently invited Mr. Hodges to the school. Over these two days, Mr. Hodges guided several of the students in producing an original song titled Breakthrough. These novice recording artists have special needs such as selective mutism, speech impediments, and literacy difficulties. Together, these students created a touching and catchy song that provides insight into their thoughts and lives while inspiring the public to reach for their dreams. The lyrics demonstrate that the students were eager to take the opportunity to teach what they have learnt on their journeys. Their words include: “We’ve all been searching for a light in our souls. because we all feel alone.” The chorus is highly encouraging: “We’ve got to break through. Don’t let it change you. It may hurt sometime, but we’ll learn to fly. So just hold onto your dreams. Let your light become your saving grace. Cause every day we can change.” This collaboration was made possible through the Culture in the Schools program. Teacher Catherine Rendell-Green created a video to accompany the song. To view it, click here. D’ARCY McGEE SCHOLARSHIPS: D`Arcy McGee Liberal MNA David Birnbaum attended the graduation ceremony at John Grant High School on June 16 and unveiled two new scholarships.Mr. Birnbaum has confirmed that his office will make an annual contribution to John Grant High School in the amount of $500. This money will be used to create the D’Arcy McGee Student Scholarship Program. In creating these scholarships, Mr. Birnbaum requested that they “contribute to the welfare and future success of John Grant graduating students.” Scholarships will be awarded at the graduation ceremony. Mr. Birnbaum was in attendance and addressed the graduating class. Two D’Arcy McGee scholarships in the amount of $250 have been created. Award recipients were chosen by the school’s administrative team and the graduation committee. MYTHICAL CREATURES: The annual Science Fair at John Grant High School took place on May 16, exploring the topics of Mythical Creatures: Fact or Fiction, Air, Water, Health, and Technology. This year’s Science Fair was bigger than ever, boasting 40 exhibitors. Students were asked to choose a topic that was relevant to them. Their interests varied, including uncovering the answers behind zombies, vampires, why the sky is a light shade of blue, hover boards, paranormal activity, constellations, loggerhead turtles, and more. Project work began in October. Students have worked diligently since then in preparation for the Fair. With the direction of Science teacher Tatiana Lednow, students focused on the multiple dimensions of the project, from research to the preparation of their project displays and oral explanations of their research. Student Jason was interested in the megalodon, meaning “big tooth,” the prehistoric shark that was the largest that ever lived. In addition to his informative table display and oral presentation, he and Ms. Lednow created a life-size replica of the megalodon’s mouth, which spanned 11 feet tall and nine feet wide. His papier mâché model hung in the centre of the school gym for all to see. Photo opportunities inside the mouth were offered to visitors. See the full press release. YAD VASHEM SCHOLARSHIP WINNERS: An orientation and dinner was held at the Gelber Conference Centre recently, hosted by Riva and Thomas O. Hecht, for five teachers who will travel to Israel in July to take part in the Summer Seminar for International Educators at the Yad Vashem Holocaust Memorial. Via the Riva and Thomas O. Hecht Scholarship, Teaching of The Holocaust for Educators, this year’s recipients are Marymount Academy International International Baccalaureate Program Coordinator Ramin Khodaie from the EMSB and Clearpoint Elementary School in Pointe Claire teacher Suzanne Ujvari from the Lester B. Pearson School Board. They will be joined by Anne-Marie Jacob from Collège Jésus-Marie de Sillery in Quebec City, Marie Hélène Laverdière from École Secondaire Jean-de-Brébeuf in Quebec City and Sandy Plamondon from École Primaire St. Lawrence in Candiac. The teachers will take part in a professional development program under the direction of the Faculty of the Yad Vashem Seminars for Educators from Abroad, International School for Holocaust Studies. The goal of the program is to provide professional development activities to teachers for teaching about the Holocaust and anti-Semitism. Each scholarship recipient will be asked to create at least one teaching unit or module developed within the context learned, appropriate for the régime pedagogique. The scholarship covers all expenses. Left to right: Anne-Marie De Silva of the EMSB, Riva Hecht, Thomas O. Hecht, Lester B. Pearson School Board Director General Michael Chechile, Suzanne Ujvari , Clearpoint Principal Rachel Wilson and Ramin Khodaie. The Hechts sponsored the trip for Mr. Khodaie and Ms. Ujvari. Bill and Dana Bell did so for Ms. Laverdière while the other scholars were sponsored by Victor David, Irwin and Sara Tauben, Janis Levine and the Morris Goodman family. On hand at the reception and orientation to serve as resource were Canadian Society for Yad Vashem Executive Director Ester Driham, Montreal Holocaust Memorial Centre Executive Director Alice Herscovitch and past scholarship winners Lev Berner from Vincent Massey Collegiate in Rosemount and Gina Lavine from Collège Laflèche in Trois-Rivieres. The Hechts announced the relaunch of their website http://t-h-e-program.org and the debut of a Facebook page (T-H-E Program). See these photos. EMSB IMPACT NIGHT: For the 11th consecutive year, the EMSB has continued its partnership with the Montreal Impact through its “All the Way with the Impact” program. Members of the Impact visited schools to remind young students of the importance of studying, persevering and building self-confidence in order to succeed. 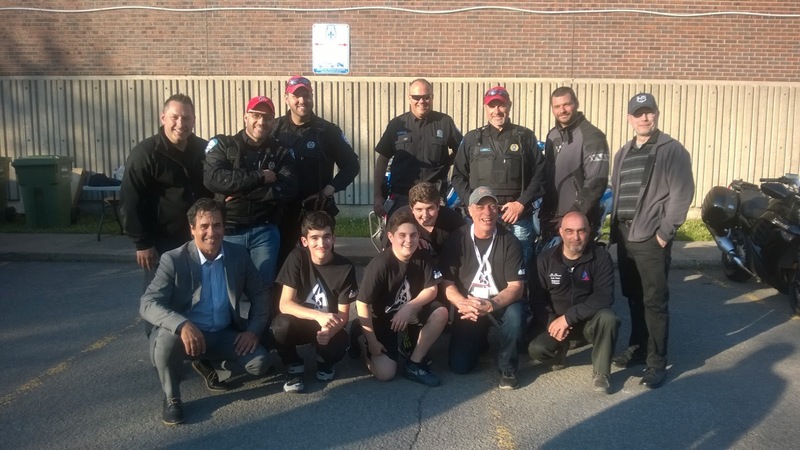 The traditional “EMSB Night” took place on June 8 when the Impact hosted Toronto FC at Saputo Stadium. More than 2,250 tickets were sold to EMSB students and staff for the game. Sylvia Lo Bianco, Steve Smith, Julia Donovan, Marcus Surette and Angela Mancini. Prior to the game, the EMSB’s presence was recognized and two students were presented with the Tony Licursi Bursary, valued at $500 each. Mr. Licursi was the team’s statistician and a devoted member of the James Lyng High School Alumni Association. He passed away a number of years ago. The award recognizes excellence in school and sports, preferably soccer. This year’s winners were Julia Donovan, a Grade 10 student at Lester B. Pearson High School in Montreal North and Marcus Surette, a Grade 3 student at Edinburgh Elementary School in Montreal West. Impact Vice-President of Ticket Sales & Customer Service Steve Smith presented the students with the award. FACE AND TREES: For the last few weeks, Secondary III students at FACE School downtown, in conjunction with the artist in residence Konstatin Velitchkov have been making huge Papier-mâché trees in their English classes. 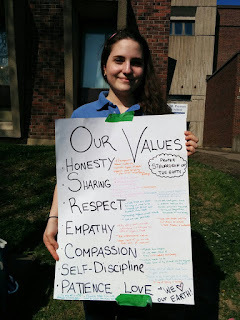 This activity was part of a larger literacy and communications project, where students had to work in teams of four and had to create their very own Declaration of their Responsibility to Future Generations. Literacy, has a broader concept than just reading and writing of the written text. It is multi-modal because students should come to understand how to read and understand multiple texts including images and objects and to decode the semiotics and the messages that are embedded in them. A look at some of the lovely projects. The idea of creating a tree for this project was to place a declaration, not on a written piece of paper, but to embed each declaration on the tree. The challenge, therefore, was to find a way to solve this problem of placing written messages on their tree and to create multiple points of ‘reading’ text. As the students were constructing their tree, they were also asked to reflect on their declaration and to make changes to it, if they felt that they needed to. The students did take the time to synthesis concepts and ideas and had the space to change what they had originally written. These students appreciated being able to go back to their declarations in order to refine their thoughts and ideas and to improve on what they wanted to really say. This approach to literacy therefore facilitates an opportunity for students to understand that reflection is an important element in the way they engage towards their understanding of what they are learning and wish to express to themselves and to others. See press release. WILLINGDON FOR FORT McMURRAY: Students from Willingdon Elementary School in NDG raised more than $4,000 for the residents affected by the forest fires in Fort McMurray. Five students in particular stepped forward to lead the charge in one lunch hour they had mapped out how to make this happen! They rolled out the collection (in-class information presentations /walky-talky whole school announcements, posters and a letter/e-mail home to the parents) and began the collection in earnest on May 24.Every student at the school (around 480) received a “5 For the Fire" pledge form and many brought this to their families to gather collections. Some students were especially creative and ran lemonade stands to raise money for the Red Cross (a Grade 2 student made $100 for the collection in this way!). The donation to the Red Cross will be matched by the federal government which means the total amount of money going to the rebuilding efforts in Fort McMurray will be $8,000. On May 31 a March took place at in the neighbourhood. THE HOCKEY SWEATER: Roch Carrier, one of Canada’s most famous authors, visited Pierre Elliott Trudeau Elementary School in Rosemount on June 7. Carrier read his most famous book, The Hockey Sweater, to students in Grades 1 and 2. Following his presentation, all students received a signed copy of the book. Carrier’s visit was organized by First Book Canada in recognition of Reading Celebrations being held across the country. The event was also sponsored by the Bank of Montreal (BMO) and a part of their annual Volunteer Day, whereas employees give back to their local community by participating in a number of events and activities. As the students received their books from Carrier, they were paired up with the BMO volunteers to read to and with each other and shared the love of reading and books. YOUNG ROSEMOUNT HIGH SCHOOL ENTREPRENEURS GIVE BACK TO THE COMMUNITY: Over the course of the past two months, Secondary V students from Rosemount High School, under the guidance of entrepreneurship teacher Antonino Scozzari were challenged to give back to their community. Students were introduced to a variety of economic concepts and factors that play a pivotal role in creating, marketing and selling a product or service in the marketplace. Each year, the students at Rosemount High School have an opportunity to put what they have learned into practice and establish businesses aimed at selling a product or service to student and staff of their school. After a successful campaign and some deliberation, the students agreed to donate their $1,110.20 profits to the Montreal Children’s Foundation. This student action program is at the forefront of a new school initiative entitled “Rosemount Reaches Out!” Over the course of this school year, the program has allowed students to be more involved in the greater community by serving those less fortunate, packing donations for the Spirit of Giving and raising funds for the Free the Children Organization. Laurier Macdonald High School in St. Léonard as they learned the proper elements and principles of art techniques using perspective, shading and highlighting. EMSB BEE KEEPERS: EMSB Pedagogical Consultant for Career Development Travis Hall reports that seven schools are thus far participating in an exciting board wide cross-curricular urban beekeeping initiative: Elizabeth Ballantyne and Royal West Academy in Montreal West, Royal Vale and Focus in NDG, Westmount High School, John F. Kennedy High School in St. Michel and Laurier Macdonald High School in St. Léonard. The partnership with Alvéole (https://www.alveole.buzz/en/ ) was initiated by the Educational and Technology Services Department. Mr. Hall worked closely with Alex McLean and his amazing team to insure the best possible learning experience would be provided to EMSB. The purpose of bringing Alvéole to EMSB is to develop an exciting and original way to further support the Guidance-Oriented Approach to Learning (GOAL) philosophy found in the school curriculum. The project will provide various creative educational activities and real world learning experiences to our students at all levels of their education. The project will also enable a variety of opportunities for our students to better interact directly with the natural environment and their local communities. “It was easy for me to find willing participants as the schools immediately showed incredible interest,” said Mr. Hall. “The principals were a pleasure to work with and I believe they each deserve individual recognition for their willingness to try something new, their enthusiasm when speaking about the project to their parents and community representatives, and their ability to successfully align the many variable necessary to make something like this a reality. Alvéole has been working hard the last few weeks. Active bee hives have been successfully installed on the roofs of all the participating schools. Workshops focusing on apiculture and the environment, various gardening initiatives, and actual honey production and hive care will all begin in September when students return to school.” See the press release. Quite a scene at Sinclair Laird. VMC MARK ELEVENTH YEAR OF PARTNERSHIP WITH STE. ANNE'S HOSPITAL: Annually, Grade 10 students, along with teacher Sabrina Gagliardi and Spiritual and Community Animator Rocco Speranza, connect with veterans from Ste. Anne’s Hospital in Sainte-Anne-de-Bellevue. Over the course of the year, students and veterans share meals and spend time with each other. They also keep in touch through letters. 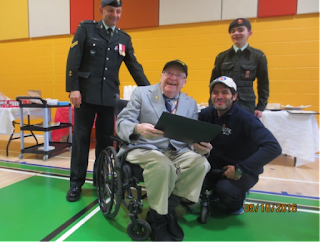 Recently, the Veterans had the opportunity to celebrate their 11-year partnership with Vincent Massey Collegiate by visiting the students at school for a community lunch. The school’s Glee Club, The Clef Notes, performed several numbers during the lunch. Additionally, a Canadian Military Quintet also provided musical entertainment. “Our partnership was formed in 2005 as a way to mark the 100th anniversary of the Battle of Somme,” said Speranza. “We have to take every opportunity possible to thank the veterans for the sacrifices they have made so that we can enjoy our freedom and democracy. EPIC TRILOGY: A choir of 74 students from Grades 3, 4, 5 and 6 attending Sinclair Laird Elementary School in Park Extension, along with a cast of 33 members, recently performed; « Le retour de Shir’Ka: 2016 » the last instalment of the epic trilogy for kids « Le mystère de la forêt enchantée ». After being banished for a thousand years, Shir’Ka a being of unspeakable power has taken over the world. It is now up to Cassëope and her fearless knights to stop him. However one of her four half-sisters who joined the odyssey will betray her and another will not come back. Who is it? The cast shared their love of acting by performing for other schools to the delight of their peers. Students from Barclay School came to the dress rehearsal and the cast went on to perform at Cedarcrest. The musical score and script were penned by their music teacher and choral conductor Jacques-Emmanuel Bélizaire. Hats off to all involved! ANIMATORS RECOGNIZED: Spiritual and Community Animators (SCA) of the English Montreal School Board (EMSB) made quite an impact as the service was recognized at the annual APAVECQ (Association professionnelle des animatrices et animateurs de vie spirituelle et d’engagement communautaire du Québec) conference. The EMSB was cited by Dr. Jacques Cherblanc through his research as having the best-organized SCA Service in Québec, and is considered a best practice for its structure, ratio of students served by number of professionals, and the broad and diverse scope of the offer of service. APAVECQ echoed this sentiment in underlining that the EMSB has the best ratio of service, and is the strongest representation of the service in any school board in Québec. Furthermore, presenting to fellow Spiritual and Community Animators from across Quebec, Frank Lofeodo, David-Roger Gagnon, Joe Monachino, Rocco Speranza, and Pierre-Luc Lajoie highlighted the unique ways that they work with the youth in the EMSB. 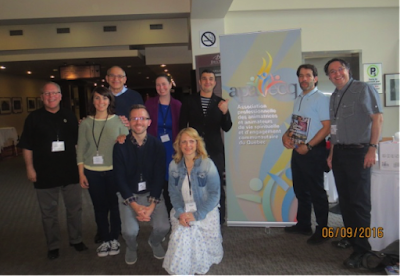 Also in attendance at the conference were SCAs Gladys Batten, Aaron Durocher, Elizabeth Pellicone and Samantha Page Smith.APAVECQ is the professional association that represents Spiritual and Community Animators (SCA) across Québec. On the 15th anniversary of the establishment of the Spiritual and Community Animation Service, the conference examined the history and establishment of the service and how the Education Act enshrines, guarantees and promotes this essential service for students. Participants also examined how the school system changed as a result of the revised education law in 1998. LBPHS URBAN GUERILLAS ARE TURNING MONTREAL NORTH GREEN: Students from the Lester B. Pearson High School Urban “Guerilla” Gardner Club recently sold 250 seedlings to the school community, ensuring that students will be able to begin their own gardening projects at home. The club, which is organized by Spiritual and Community Animator Elizabeth Pellicone, has been active since March. Since the dawn of spring, students have been growing organic seedlings such as zucchini, eggplant, basil, pepper, tomato, kale, melon and butternut squash in the school’s Spiritual Oasis. Once mature, the club sold the seedlings at affordable prices, ranging from $2.00 to $3.00 per plant. PEARSON AND BUICK: Over $10,000 was raised for the Lester B. Pearson High School Sport-Études program recently when Buick Canada, in partnership with Hamel St. Leonard, donated $20 for every test drive held on May 18. A total of 516 test drives were taken, many of those by staff, parents and community representatives, including members of the local police brotherhood. LBPHS would like to thank the sponsors of that day: Les Délices Lafrenaie, Lalumière Bonanza, Cantinho Express, Del Sole and Amaretti bakeries. CAR WASHES: On June 3, LBPHS Student Council students began a series of three car washes to raise funds for their annual August Leadership retreat. 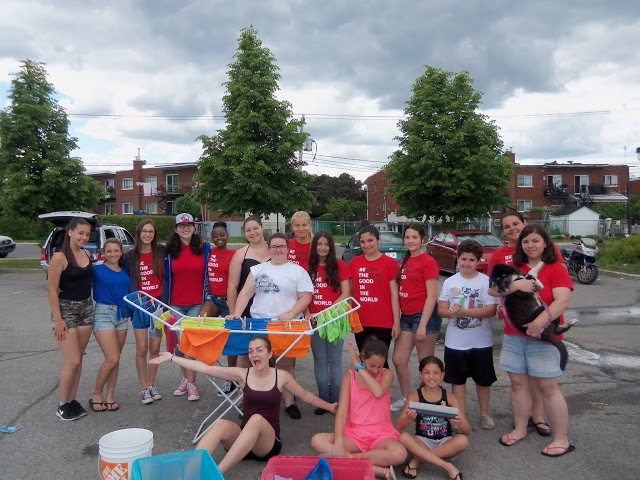 Approximately 20 students from LBPHS' Student Council washed cars and bagged items on a beautiful June day. 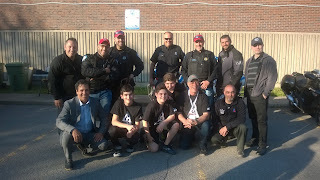 They were able to raise approximately $650 at the Canadian Tire on Maurice Duplessis, which graciously served as the host for this annual event. Not only were the students able to raise much needed funds for their own project, ten percent of their efforts were donated to the Jumpstart Foundation, which helps kids participate in sports, dance or other physical activities. MIND ON THE MOVE: With renovations planned next year for the premises they presently occupy at the Bancroft Elementary School in the Plateau, students and staff from MIND High School will relocate for the 2016-2017 year to the Marymount Academy International facility in NDG. MIND (Moving in New Directions) will require five classrooms and access to shared facilities, including a gymnasium, labs, cafeteria and the library. The proposal has been sent out for consultation with the appropriate parties. 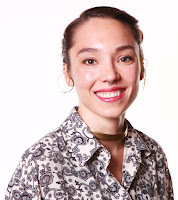 TEACHER AND BASS PLAYER: Caroline Cameron has been teaching music in the EMSB for the past seven years, presently at Pierre Elliott Trudeau and Bancroft Schools. She has also been working as a professional bass player and vocalist for the past 13 years. She will be performing a series of concerts with legend of rock music in Quebec Michel Pagliaro at the Montreal Casino this June and July. Here is the link for tickets. COOK FOR A CURE GALA: On May 11 at Plaza Antique, under the direction of Spiritual and Community Animator Vince Lacroce, students from Rosemount High School, Nesbitt Elementary School and Gerald McShane Elementary School came together to present their winning recipes to local chefs. 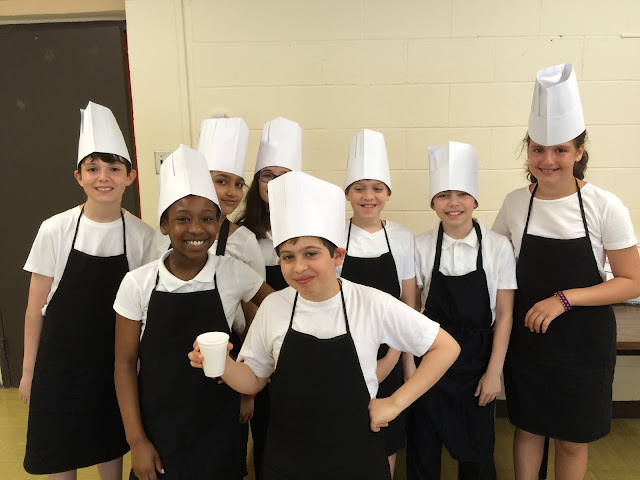 The recipes were part of a collaborative cookbook created by the three schools. Through book sales, raffle sales and auctions, $16,700 was raised for the Alzheimer’s Society of Montreal. INSPIRATIONAL COOKING Gerald McShane student Gia Colacci, along with her grandmother, and Nesbitt student Evanna Salvador, along with her mother, prepared their Cook for a Cure recipes for CTV’s Aphrodite Salas at Restaurant Inferno in Little Italy. The cooking was filmed and shown on CTV’s Sunday Bite on June 5. A special thank you to Nick De Palma and Ashley Thornton of Inferno for their continued support of this project. Here is the report. VMC STUDENTS GET IN TOUCH WITH NATURE: Five students from the Vincent Massey Collegiate Green Club in Rosemount recently had the opportunity to spend the weekend camping at YMCA Camp Kanawana, in the beautiful surroundings of Mount Saint Sauveur. Accompanied by their teacher, Rachel Thompson and Spiritual and Community Animator Rocco Speranza, the Green Club took part in team building activities, acquired information about modern conservation techniques and learned about conservation of nature and wildlife and how to preserve what has been given to us as a sacred trust. The group also enjoyed canoeing, rope climbing and hiking as well as took the time to plan community based conservation projects that will be implemented both at school and in the community. The colour run at JFK. COLOUR RUN: With the sun shining down on John F. Kennedy High School in St. Michel, students took to the soccer field for the school’s third annual 5K True Color Run, raising $323 for Free the Children. Organized by Spiritual and Community Animator Aaron Durocher and Work Oriented Training Pathway teacher Anthony Tonin, the activity served as a reminder for students that when they come together as a community, great things could happen. 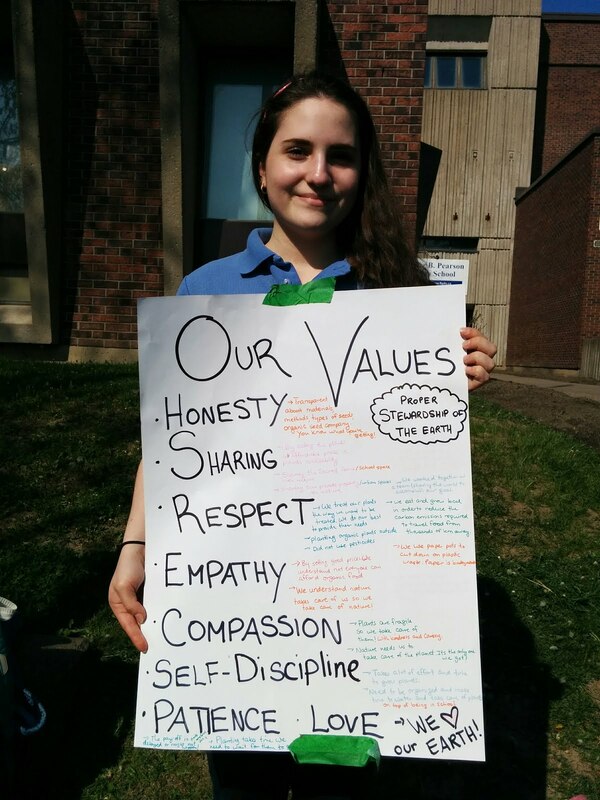 “We teach our students that as we develop and grow our character spiritually, we can make a very real difference in the lives of others,” said Durocher. HALO RUN: Honoré Mercier Elementary School officials in St. Léonard are very proud every year to have the majority of their Grades 3, 4, 5 and 6 students represent them at the Halo Run. The Physical Education team of Mr. Peter, Mr. Andrew and Mr. Nick work very hard at training the students and encouraging them to do their best. “We are very proud of all our students who participated, especially our six students who received medals,” said Vice Principal Christina Voggas. NFL AT THE EMSB: Members of the Indianapolis Colts touched down at Royal Vale School in NDG on June 9 as the National Football League (NFL) kicked off its “PLAY 60” youth health and wellness campaign in Canada. The visit from the Colts coincided with the Greater Montreal Athletic Association (GMAA)’s annual Flag Football Tournament. Players were joined by guest instructor Jen Welter (the first female coach in NFL history). 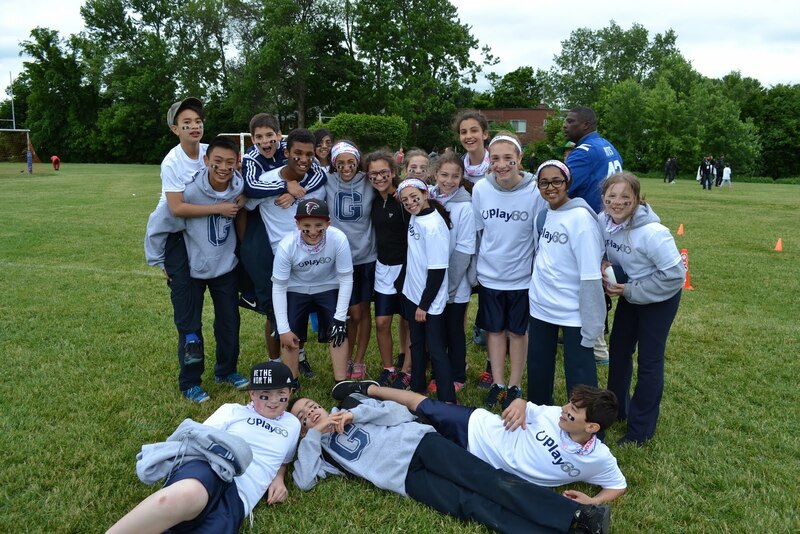 Students from schools across Montreal converged on Royal Vale for the day-long tournament which included football clinics, an interactive family zone, and the Colts mascot and cheerleader appearances. "In addition to inspiring kids to pick up a football more often, an important legacy of these visits will be the sharing of ideas and tips on how to make the game more accessible and fun for both boys and girls," said Jen Welter. "This approach - using PLAY 60 as a platform to put the spotlight on thriving football communities - is unique to Canada. Whether it’s playing a game of flag football or simply playing catch in the yard, our goal is to inspire young Canadians and ensure they know how to get involved." Jen Welter gets into the swing of things. Physical activity produces overall physical, psychological and social benefits for children. Designed to inspire kids to get the recommended 60 minutes of physical activity a day in school and at home, PLAY 60 brings together the NFL's long-standing commitment to health and wellness with partner organizations. PLAY 60 is implemented locally, in partnership with NFL teams, as part of the NFL's in-school, after-school and team-based programming. Since the program was launched in 2007, the NFL has committed more than $325 million to youth health and fitness through programming, grants, and media time for public service announcements. SKYPE EVENT: Grade 5 Royal Vale students had a skype event with Cherith Baldry the author of the "Warriors" series. She is an author based in the U.K., and she is among five other authors who have written this successful series. The session lasted one hour, consisting of a discussion between Cherith and the students. The teachers attending the event were Wendy Frank and Nathalie Malhame. There was a question and answer period, where the students asked Cherith questions about the series. The students have been devouring the books in this series all year, and asked the librarian Audrey to purchase more books in the series. Audrey purchased the whole series at the grade 5 student's request, and also for the rest of the elementary school. The interest in the series developed from a combination of two things. A book was in the library of Mrs. Frank's class, and some of the students had already known about the series. 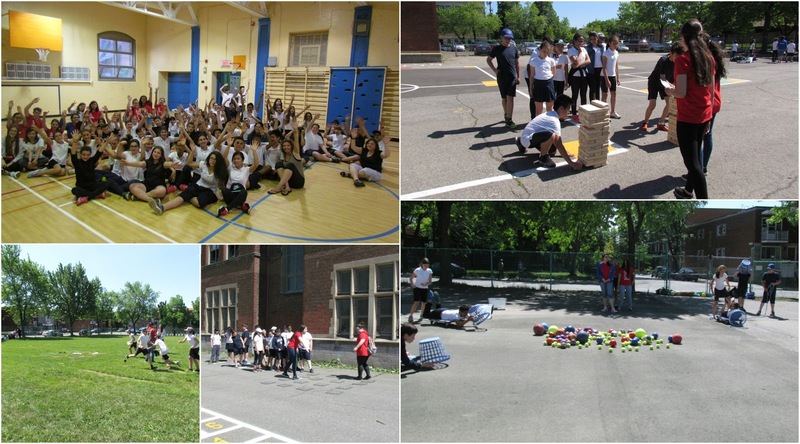 LEADERSHIP EVENT: On the last official day of classes, Lester B Pearson High School's Student Council teamed up with Nesbitt Elementary School’s Grade 6 classes for a day-long leadership event. Student Council designed a day of activities and workshops concerning the transition to high school. Nesbitt students enthusiastically welcomed LBPHS students, students not only participated in planned activities, but also spent recess and lunch solidifying bonds and getting to know each other. This is the second year the two schools have gotten together to provide mentorship and guidance, we look forward to carrying this involvement to 2016-17 and beyond. SUMMER SCHOOL: The 2016 EMSB Summer School Program at the EMSB will once again be based at John F. Kennedy High School in St. Michel. Last year the centre enrolled 537 students who registered for a total of 621 courses. Nineteen teachers were employed. The purpose of the Secondary Cycle I (Secondary I and Secondary II) Summer School is to provide continued support for students in Secondary I in English, French and/or Mathematics. It will also allow those students in Secondary II the extra time and opportunity to attain the level of competency necessary to be promoted to Secondary Cycle II (Secondary III). The purpose of the Secondary Summer School is to provide a review in the course(s) for which students meet the admission requirement of a June mark between 50 and 59 percent. Students in Secondary I, II or III who succeed in their summer school studies are permitted to advance to the next level of the course. 2. Information regarding Summer School 2016 is available on the EMSB website. ALOUETTES NIGHT: There will be a special EMSB Night at the Montreal Alouettes home opener on Thursday, June 30 at McGill’s Molson Stadium when the Ottawa RedBlacks are the visitors. This is an individual school fundraiser. So for every ticket sold at a strongly discounted rate of $15, schools get to retain $2 for their own fundraising purposes. E-mail communications@emsb.qc.ca to immediately sign up. ENTREPRENEURS: A group of autistic students at James Lyng Adult Education Centre are showing their entrepreneurial side by selling merchandise that they, themselves, printed. Amongst the logos is the slogan, “C’EST OK! D’ÊTRE DIFFÉRENT.” Studio Sans Limites, a branch of Autism Sans Limites, is a non-profit organization whose mandate is to prepare adult students with autism for the workforce. All proceeds will help to finance Studio Sans Limites’ initiatives. Hockey Night in St. Henri. BALL HOCKEY: On June 7, students and staff of James Lyng Adult Education Centre came together as rivals for the first annual ball hockey game. The staff consisted of teachers Michael Rokbrand, Nick Gallagher and Martin Giroux-Cook, as well as academic advisor Cindy Romeo, office agent Barbara Ann Singer and student supervisor Wayne Out. Fun was had by all!! Ms. Barassi (second from the right) with some staff. 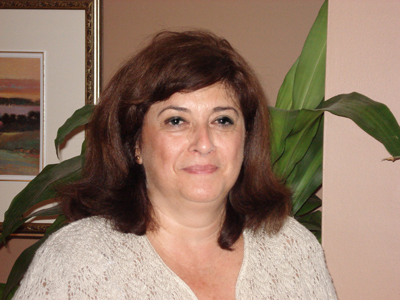 MARYSA BARASSI TO RETIRE: Marysa Barassi began her career as a teacher of adult education in 1988 at what is currently the St. Pius X Culinary and Business Centre in Montreal. After 11 years in that role, she became vice-principal of the centre, and in 2005, was named principal. Three years ago, she moved into the position of principal at the St. Laurent Adult Education Centre. Ms. Barassi, who will retire on June 30, has embraced the joys and challenges of working in the adult sector with gratitude, empathy, tough love, teamwork, respect, hard work, and always, humour and laughter. During the course of her career, she had the privilege of assisting people with diverse backgrounds and struggles who came from far away war-torn, poverty-stricken countries, and as close by as the Greater Montreal area. Over the span of 28 years, Ms. Barassi has witnessed significant changes in the field, particularly in the demographics of the student population. “When I started at Pius, I was in my early 30s and all of my students were older than me,” she says. “That was the makeup of the adult population,” she remarked. “Today, the greatest portion of our population in academics are 16 to 24 years old. 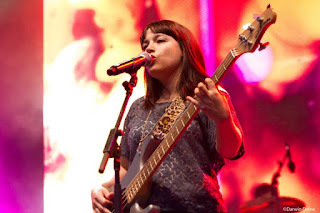 They are much younger.” See Wendy Singer's interview with Ms. Barassi. PROVINCIAL SKILLS: The EMSB AEVS Department participated as a member of Team Montreal in the 14th edition of the Provincial Skills Competition May 4 to 7 in Quebec City. 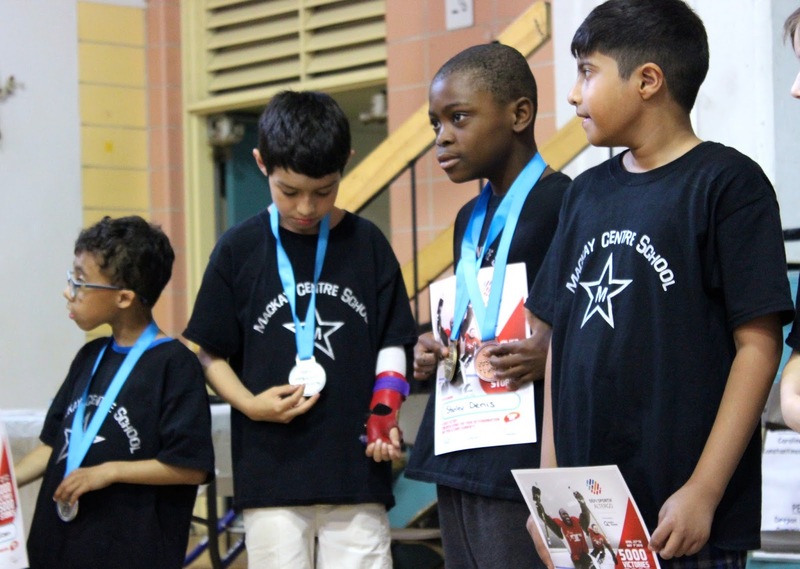 The EMSB team included five competitors, six coaches, four administrators and one professional. The students were from: Rosemount Technology Centre (RTC) and Laurier Macdonald Vocational Training Centre (LMAC VTC). They participated in such categories as: Cabinet Making, Welding & Fitting, and Hairdressing The AEVS department of the EMSB recognizes the following winners and participants: Zabi Jafary, Bronze Medal winner, LMAC VTC, Hairdressing ; William Mann, Medal of Excellence winner, RTC, Welding and Fitting; Daniel Judson Crosby and Nicole Parmentier, participants, RTC, Cabinet Making; and Anne-Marie Mulumba, participant, RTC, Computer Graphics. The AEVS Department of the EMSB wishes to extend its gratitude to the following coaches: LMAC VTC Hairdressing, Amanda Lepore and Luciano Petrella; RTC Computer Graphics, Mark Anthony; RTC Welding, Robert Martin; and RTC Cabinet Making, Kerry Bullis The AEVS Department of the EMSB wishes to extend its gratitude to the following delegates: Mario Argiropoulos, Assistant Director, AEVS; Lino Buttino, Centre Principal, LMAC VTC; Tina Spiridigliozzi, Centre Vice Principal, RTC; Saverio Servello, Centre Vice Principal, RTC; and Mario Marrazza, Educational Consultant, AEVS. ABILYMPICS: The EMSB/AEVS participated as a member of Team Canada in the ninth International Abilympics (Olympics for handicapped students), which was held in Bordeaux, France. Mechatronics for which they received a gold medal. 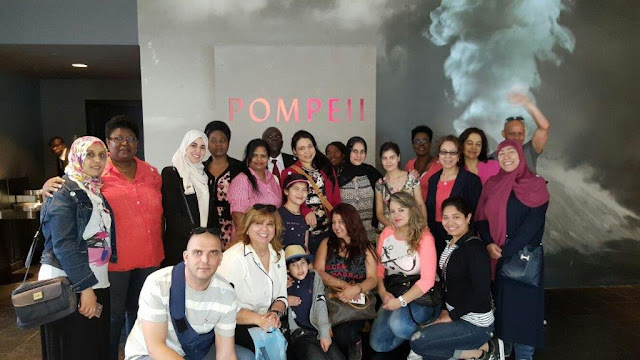 STUDENTS VISIT MUSEUM: Galileo Adult Centre CCBE students, along with their teachers Georgette, Laura and Monica went to the Montreal Museum of Fine Arts to see the exhibition of “Pompeii” - a guided visit. Galileo Adult Centre encourages learning through visiting culturally enriched events. The Pompeii exhibit inspired interest in an area of history and art. The students were able to form a unique experience and take away information of a certain time period. They were able to apply their newly acquired English language through discussion on the various works of art and artifacts. 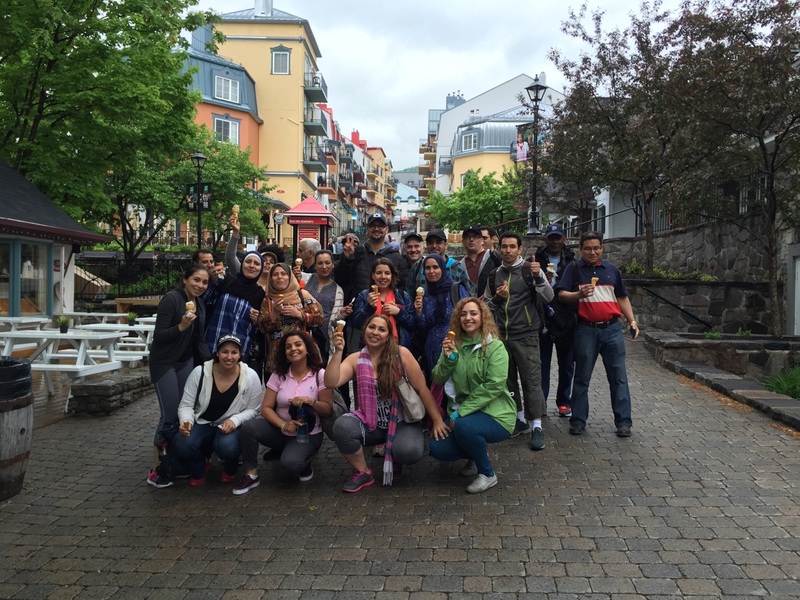 TREMBLANT TRIP: On June 2, CCBE teachers Tanya Lo Bianco and Tina La Rosa, from Galileo Adult Centre, brought their students’ education to life. Both teachers taught their students about the many spectacular tourist areas in Quebec. Given that most of the students are new-comers to Quebec and they had just learned about Mont-Tremblant Mountain, everyone was very intrigued to visit. The students were able to communicate using their newly acquired English language skills and visit the village in its wonderful surroundings. GALILEO AND NATURE: For the first time Galileo Adult Centre’s S.I.S. 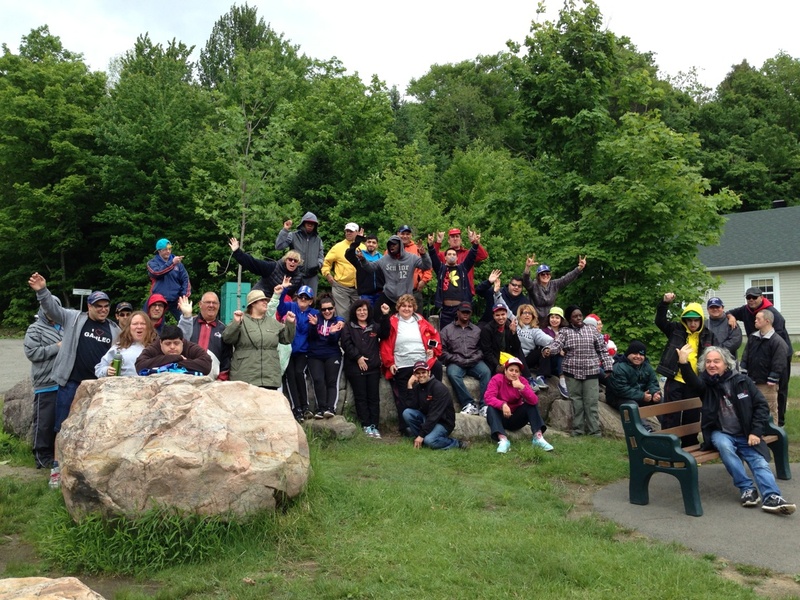 students took to an adventure of discovering nature for a sensory experience in the Laurentians. Thirty four students, six teachers and one parent went to camp “Bas de Plein Air Bon Depart” from June 8 – 10, 2016. For most students, camp was their first trip away from home. With over twenty activities planned indoors and outdoors, students learned to adapt to the weather conditions and were able to partake in all activities: zip-line, bow and arrow, hiking, rock climbing, ecological, forest survival, and fishing. The students were also taught on determining which herbs were best to serve with the fish that they had caught and ways to attract bugs while collecting them for study. Some of the water sports that students enjoyed included kayaking, canoeing, paddle boating. HATS OFF: The Hats Off to You! Contest showcases the determination and work of young women enrolled in a vocational or technical training program leading to work in a traditionally male-dominated occupation. On June 6, the Provincial gala was held in the Legislative Council Chamber at the Parliament Building in Quebec City. Heidi Pridy and Deann Nardo, both Cabinetmaking students at Rosemount Technology Centre, won $2,000 prizes at the Provincial gala. After several years of occupying low-paying jobs, Heidi Pridy enrolled herself in the Cabinetmaking Program at RTC and has not looked back! “This field combines art, creativity and problem-solving in addition to providing financial stability,” she said. Her confidence and determination have earned her the respect of her male peers, with whom she has developed strong mutual relationships. She would like to start her own business with other female cabinetmakers. From her childhood in a village of Filipino fishermen, Deann Nardo remembers that inventiveness was crucial for the survival of her family. Her grandfather transformed tropical wood and bamboo into homes, boats and other objects. “The tiny pines were part of my little fingers, and I was delighted to help,” she said. Several years and many kilometres later, her eagerness to work with wood has remained intact. 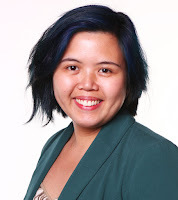 Future cabinetmaker, Deann works on many projects, as well as her desire to pass on her knowledge to young people, and workers in her native Philippines! Il est demandé à tous les élèves qui s’inscrivent pour la première fois de présenter un certificat de naissance et un dossier de vaccination à l’école que l’enfant fréquentera. Il sera demandé aux parents de remplir les formulaires qui permettront à l’école de faire une demande de certificat d’admissibilité à l’enseignement en anglais. Conformément à la Charte de la langue française, un certificat d’admissibilité est généralement accordé aux enfants qui ont fait la majorité de leurs études primaires ou secondaires en anglais au Canada, dont la mère ou le père ont fait la majorité de leurs études primaires en anglais au Canada ou dont le frère ou la sœur a fait la majorité de ses études primaires ou secondaires en anglais au Canada. Veuillez prendre note que ces critères excluent les études complétées auprès du réseau d’écoles privées du Québec. AUDITORIUM SYD WISE: Une cérémonie d’inauguration de l’auditorium Syd Wise a eu lieu le 14 juin au Centre d’éducation des adultes Marymount/école secondaire John Grant de Côte Saint-Luc, en mémoire de Syd Wise qui a été commissaire pendant plusieurs années et qui est décédé l’automne dernier. La décision d’aller de l’avant a été prise par les Directors of English Education Network (DEEN) représentant toutes les neuf commissions scolaires anglophones. « Les représentants de DEEN ont accepté d’aller de l’avant suite aux commentaires des écoles-pilotes, à la formation qui a déjà eu lieu et à la disponibilité des ressources et manuels en anglais » précise Mme Mancini. « En nous basant sur tous les aspects positifs, nous avons décidé collectivement de mettre le programme en œuvre. » La directrice des Services éducatifs et de la technologie de la CSEM, Sandra Furfaro, mentionne que la mise en œuvre du programme facilite maintenant l’achat de nouveaux manuels subventionnés par le ministère. En outre, elle offrira au personnel enseignant des occasions de perfectionnement professionnel et le maximum de temps pour se familiariser au programme. RETRAITE DE RAIZEL CANDIB: À la fin de l’année scolaire courante, Raizel Candib, directrice de l’école primaire Merton prendra sa retraite et laissera un héritage d’amour, de gentillesse et de réussite personnelle et académique. Mme Candib a commencé sa carrière en éducation en tant qu’enseignante à l’ancienne école secondaire Wagar et elle a ensuite assumé les rôles de directrice adjointe à l’école primaire Willingdon, directrice de l’école primaire Elizabeth Ballantyne et quatre ans à titre de directrice de l’école secondaire Bialik. Au cours de sa carrière, Mme Candib a suivi l’évolution du domaine de l’éducation à partir de l’utilisation de la technologie en classe jusqu’à la robotique. Sous sa direction, la communauté de Merton a grandi, s’est adaptée et a prospéré. DÉPART DE M. DANSEREAU: Après 38 ans dans le domaine de l’éducation, Claude Dansereau, directeur de l’Académie LaurenHill de Saint-Laurent, prendra sa retraite à la fin de l’année scolaire. Il quitte la CSEM satisfait de ses réalisations. M. Dansereau a commencé sa carrière comme enseignant dans le milieu des besoins particuliers à l’unité pour enfants de l’hôpital Douglas qui relevait de l’ancienne Commission des écoles protestantes du Grand Montréal. Il a ensuite travaillé à Shawbridge et ensuite assumé un poste nouvellement créé de conseiller en carrières. M. Dansereau a collaboré à la création de l’école innovatrice Connections qui fonctionnait comme une petite entreprise où les élèves fréquentaient des classes, travaillaient et partageaient les profits. Il croyait que la clé du succès de Connections était de montrer aux élèves qu’ils étaient des membres vitaux de leurs communautés. Après sa première année, l’école a reçu le prix Hillroy Fellowship. Il a ensuite été directeur des écoles des Affaires sociales affiliées aux Centres de la jeunesse et de la famille Batshaw. M. Dansereau a passé les neuf dernières années de sa carrière à l’Académie LaurenHill, la plus importante école secondaire de la CSEM qui compte 1300 élèves et près de 130 employés. Il a passé quelques années au centre administratif à titre de directeur régional sur une base intérimaire. Sous son leadership, LaurenHill a constamment été l’une des meilleures écoles dont plus de 90 pour cent de ses élèves étaient diplômés chaque année. Il a soutenu les efforts de son équipe qui a mis en œuvre un grand nombre de programmes innovateurs à l’école. PROJET DU CENTRE MACKAY: Une réunion spéciale d’information de quartier a été tenue à l’école primaire St. Monica de NDG au sujet de l’établissement du Centre Mackay-Philip E. Layton qui sera construit sur la rue Terrebonne entre Benny et Madison. Ces écoles détiennent un mandat supra-régional pour le secteur anglophone et éduquent des élèves avec handicaps physiques, troubles de communication et troubles visuels et auditifs. Des représentants de la CSEM ont donné les détails du projet de construction, de l’échéancier et ont répondu aux questions des résidents. La construction débutera à l’automne et le directeur du Service des ressources matérielles de la CSEM, Daniel Hogue, assumera la direction du projet. POLITIQUE EN MATIÈRE DE TABAGISME: Depuis le 1er septembre 2006, toutes les cours d’école de la province de Québec sont devenues des environnements sans fumée où il est strictement interdit de fumer durant les heures d’école ou d’offrir des cigarettes aux élèves sur les lieux d’une école primaire ou secondaire. À compter de l’année scolaire 2016-2017, l’interdiction de fumer sera étendue à n’importe quelle période de temps et s’appliquera aussi aux écoles post-secondaires. En mettant en œuvre une politique révisée en matière de tabagisme, la Commission scolaire English-Montréal a l’intention d’offrir un environnement sans fumée dans toutes ses écoles, centres d’éducation des adultes et de formation professionnelle ainsi que de restreindre encore plus le tabagisme au centre administratif, 6000 avenue Fielding. En novembre dernier, le gouvernement du Québec a adopté la Loi 44 visant à renforcer le contrôle du tabagisme. Elle interdit de fumer dans un rayon de neuf mètres de toute porte menant à des espaces renfermés qui sont ouverts au public. La politique s’appliquera à tous les élèves, parents, visiteurs de n’importe quel établissement de la CSEM, à chaque personne travaillant pour la CSEM ainsi qu’aux représentants élus, les bénévoles et les personnes responsables de superviser les activités de la CSEM ainsi que toute activité organisée par la CSEM ou ses services, écoles ou centres. Dans la politique actuelle, le terme « tabagisme » inclut tout produit contenant du tabac, les cigarettes électroniques ou tous autres instruments de cette nature que l’on met en bouche pour inhaler toute substance qui pourrait ou non contenir de la nicotine. La CSEM pourrait appliquer des mesures disciplinaires et/ou toutes autres mesures contre tout employé et/ou personne qui ne respecte pas les termes et les prescriptions de la politique actuelle. FACE ET LES ARBRES: Pendant les quelques semaines écoulées, les élèves du secondaire III de l’école FACE, en collaboration avec l’artiste en résidence, Konstantin Velitchkov, ont confectionné d’immenses arbres en papier mâché pour leurs classes d’anglais. Cette activité faisait partie d’un plus grand projet de communications et de littératie où les élèves devaient travailler en équipe et devaient créer leurs propres ‘Déclaration de responsabilité envers les générations futures’. La littératie a un concept plus étendu que la lecture ou l’écriture d’un texte. Elle est multimodale parce que les élèves devraient arriver à comprendre comment lire et comprendre de multiples textes incluant des images et des objets et à décoder la sémiotique et les messages qui y sont enchâssés. L’idée de créer un arbre pour ce projet était de placer une déclaration, non sur une feuille de papier, mais d’intégrer chaque déclaration sur l’arbre. Par conséquent, le défi a été de trouver un moyen de régler le problème de placer des messages écrits sur leur arbre et de créer de multiples points de texte « à lire ». Pendant que les élèves construisaient leur arbre, il leur a aussi été demandé de réfléchir à leur déclaration et d’y faire des changements s’ils pensaient qu’ils étaient nécessaires. Les élèves ont pris le temps de synthétiser leurs idées et concepts et ont eu l’espace pour changer ce qu’ils avaient originellement écrit. Les élèves ont apprécié de pouvoir revoir leur déclaration afin d’affiner leurs pensées et idées et améliorer ce qu’ils voulaient vraiment dire. Cette approche à la littératie donne l’occasion aux élèves de comprendre que la réflexion est un élément important dans leur cheminement vers la compréhension de ce qu’ils apprennent. APICULTEURS DE LA CSEM: Le conseiller pédagogique pour le développement de carrières, Travis Hall, rapporte que sept écoles participent à ce jour à une initiative stimulante d’apiculture urbaine à l’échelle de la Commission : Elizabeth Ballantyne, l’Académie Royal West, Royal Vale, Focus, et les écoles secondaires Westmount, John F. Kennedy et Laurier Macdonald. Le partenariat avec Alvéole (https://www.alveole.buzz/en//) a été initié par les Services éducatifs et de technologie. M. Hall a travaillé en étroite collaboration avec Alex McLean et son équipe pour assurer que la meilleure expérience d’apprentissage possible soit offerte à la CSEM. L’objectif de la collaboration d’Alvéole et de la CSEM est de développer une façon stimulante et originale de soutenir encore plus la philosophie de GOAL. Le projet offrira diverses activités éducatives créatrices et des expériences réelles à nos élèves à tous les niveaux de leur éducation. Le projet offrira aussi à nos élèves une variété d’occasions de mieux interagir avec l’environnement naturel et leurs communautés. « Il a été facile pour moi de trouver des participants étant donné que les écoles ont immédiatement démontré un intérêt incroyable » déclare M. Hall. « Ce fut un plaisir de travailler avec les directions d’école et je crois qu’elles méritent une reconnaissance pour avoir été disposées à essayer quelque chose de nouveau, leur enthousiasme lorsqu’elles ont parlé du projet aux parents et aux représentants de la communauté et leur capacité de regrouper les nombreux variables nécessaires pour transformer ce projet en une réalité. » Alvéole a travaillé d’arrache-pied pendant les dernières semaines. Des ruches actives ont été installées avec succès sur les toits des écoles participantes. Des ateliers axés sur l’apiculture et l’environnement, sur diverses activités de jardinage et la production de miel et l’entretien de ruches commenceront en septembre lorsque les élèves retourneront à l’école. COURSE HALO: L’école primaire Honoré Mercier est très fière de voir la majorité de ses élèves de 3e, 4e, 5e et 6e année la représenter à la course Halo. L’équipe d’éducation physique de M. Peter, M. Andrew et M. Nick a travaillé d’arrache-pied pour entraîner les élèves et les encourager à donner le meilleur d’eux-mêmes. « Nous sommes très fiers de tous nos élèves qui ont participé, particulièrement nos six élèves qui ont reçu des médailles » a déclaré la directrice adjointe Christina Voggas. COURS D’ÉTÉ: Le programme de cours d’été de la CSEM sera à nouveau offert à l’école secondaire John F. Kennedy. L’an dernier, le centre a reçu 537 élèves qui se sont inscrits à un total de 621 cours dispensés par 19 enseignants. Le but des cours d’été du secondaire Cycle I (Secondaire I et II) est d’offrir un soutien continu aux élèves du secondaire I en anglais, français ou en mathématiques. Ils accorderont aussi aux élèves du Secondaire II le temps nécessaire et l’occasion de maintenir le niveau de compétence nécessaire pour avancer au Secondaire, Cycle II (Secondaire III). L’objectif des cours d’été du secondaire est d’offrir une révision des cours pour lesquels les élèves satisfont l’exigence d’une note entre 50 et 59 pour cent. Les élèves du Secondaire I, II ou III qui réussissent les cours d’été sont autorisés d’avancer au prochain niveau du cours 2. Les informations relatives aux cours d’été sont disponibles au site Web de la CSEM. ENTREPRENEURS: Un groupe d’élèves autistes du Centre d’éducation des adultes James Lyng ont démontré leurs habiletés d’entrepreneurs en vendant des marchandises qu’ils ont eux-mêmes imprimés. Parmi les logos se retrouve le slogan « C’EST OK D’ÊTRE DIFFÉRENT.! » Studio Sans Limites, une branche d’Autisme Sans Limites est une organisation à but non lucratif dont le mandat est de préparer des adultes autistes à intégrer le marché du travail. Tous les produits des ventes aideront à financer les initiatives de Studio Sans Limites. MARYSA BARASSI PREND SA RETRAITE: Marysa Barassi a commencé sa carrière d’enseignante de cours d’adultes en 1988 et elle est affectée actuellement au Centre de carrières St. Pius X. Après 11 années dans ce rôle, elle est devenue directrice adjointe du Centre et en 2005 a été nommée directrice. Il y a trois ans, elle a été transférée au poste de directrice du Centre d’éducation des adultes Saint-Laurent. Mme Barassi qui prend sa retraite le 30 juin 2016 a accueilli les joies et les défis du travail au secteur des adultes avec gratitude, empathie, travail d’équipe, respect, travail acharné et toujours avec humour et rire. Au cours de sa carrière, elle a eu le privilège d’aider des personnes de divers milieux qui provenaient des régions lointaines ravagées par la guerre, la pauvreté. Sur une période de 28 ans, Mme Barassi a vécu des changements significatifs dans le domaine, particulièrement dans la démographie de l’effectif scolaire. « Quand j’ai commencé à Pius, j’étais au début de la trentaine et tous mes élèves étaient plus âgés que moi. De nos jours, la plus grande partie de notre effectif est âgé de 16 à 24 ans. CABINETMAKING STUDENTS RECOGNIZED: The Hats Off to You! Contest showcases the determination and work of young women enrolled in a vocational or technical training program leading to work in a traditionally male-dominated occupation. On June 6, the Provincial Gala was held in the Legislative Council Chamber at the Parliament Building in Quebec City. Heidi Pridy and Deann Nardo, both Cabinetmaking students at Rosemount Technology Centre, won $2,000 prizes at the Provincial gala. After several years of occupying low-paying jobs, Heidi Pridy enrolled herself in the Cabinetmaking Program at RTC and has not looked back! “This field combines art, creativity and problem-solving in addition to providing financial stability,” she said. Her confidence and determination have earned her the respect of her male peers, with whom she has developed strong mutual relationships. She would like to start her own business with other female cabinetmakers. THE NEXT FOCUS WILL BE PUBLISHED ON SEPTEMBER 1, 2016. DEADLINE FOR SUBMISSIONS IS FRIDAY, AUGUST 26, 2016.